Taking an international perspective to corporate finance, the latest edition of Corporate Finance and Investment is a highly-regarded and established text for students who want to understand the principles of corporate finance and develop the key tools to apply it. The 9th edition has been revised to include topical issues in valuation, working capital, capital structure, the dividend decision, Islamic finance, risk and risk management, and behavioural finance. 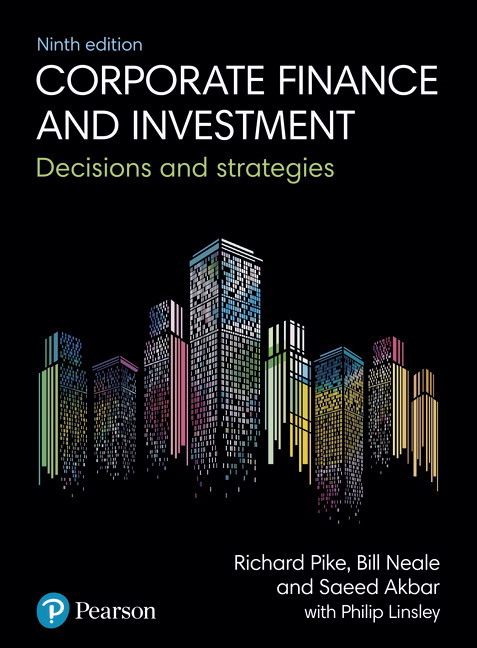 With its focus on strategic issues of finance in a business setting, this text uses the latest financial and accounting data, articles and research papers to effectively demonstrate how, and to what extent, the theory can be applied to practical issues in corporate finance.